Our 3 / 4 G cellular enabled solutions can help improve visibility in supply chain, cold chain & remote infrastructure monitoring. With over 30 supply chain logistics delivery trucks, the vaccine product team works 5 days a week, manufacturing and supplying their medicines to over 100 speciality pharma distributors across the region on a direct delivery basis. Constant vigil of temperature and humidity controlled storage units that are located near the pharma retail units, hospitals, laboratories & clinical chains. Ours is a comprehensive offering for tracking and monitoring over 3G cellular devices. Equipped with a weather-proof enclosure and a GPS shield, the asset tracker uses the 3G or the 2G devices to communicate with the cloud and the world in multiple geographies. The operations department, located at the city centre has a 10 member team to monitor the environment and safe handling of high value vaccines ; their location and inventory management to ensure steady supply based on seasonal demand. The administrative team supervises packing, order managements, accounts payable, receivables and purchase order for the raw materials. There is an independent workshop management system, keeping track of enroute theft, monitoring truck routes, fuel consumption, delivery schedules, proof of delivery verification. The workshop has installed traditional GPS tracking solution to monitor the movement of all 30 cold chain trailers for operations to ensure safe transportation, handling and delivery of vaccines to the 100 distributors. The client had problems in getting real time information on product handling at the time of loading and unloading, wrong deliveries, environment control for temperature & humidity, track & trace from factory to distribution. Our wireless sensors and gateway solution for remote asset tracking & monitoring comprises of deployment of long range, reusable GPS enabled tags on the containers carrying the vaccines. The GSM device integration and realtime capture of vital information ensured complete track and trace of the medicines. This greatly improved the overall operational control and brought in the much needed transparency in the system. The information from all these locations were accumulated cloud platform and our IOT dashboard and data visualisation software system allows sharing of information by integrating with their existing logistics management solution. Call us to know more about our cellular solutions fleet tracker sensor solutions to improve remote infrastructure monitoring, cold chain visibility in Singapore and other regions. Our Internet Of Things (IOT) enabled people tracking solution, comprising of miniature BLE sensors, gateway, device management framework and dashboard software provide new insights on movement of physical objects within premises such as construction sites, shipyards, factories, warehouses, hospitals etc. Our solutions mainly apply where long term projects are involved; like shipyard, construction of commercial spaces, tunnels, public utility buildings etc. The measurement helps in improving workplace safety, reducing operational bottlenecks, improve accountability and visibility. Without proper tracking methodologies, one cannot measure the loss of productivity, violation of safety norms and prevent unwarranted situations. Like when a business operation is unable to locate machinery or a critical spare inventory quickly or location of key people such as engineers, supervisors etc. in large work sites. Lack of clarity in understanding the workflow resulting in long queues and frustration leading to inferior workflow process and operational efficiency. This can lead to lower satisfaction, increased costs, safety risk in industries and loss of revenue. The same could be told about visitors – suppliers, consultants and other people entering high security areas such as warehouses, shipyard, bank locker rooms etc. Can also be extended to physical objects such as laptops, circuit boards in an equipment, industrial transformers etc. Internet of things (IOT) is aiding healthcare providers to gain valuable insights into their hospital inventories and working environment with remote condition monitoring solutions. The real-time data will help in improving overall operational efficiency and assist the administrators to make proactive decisions in improving security, safety and operations. Our parent organisation has been in the healthcare industry as a reputed IT vendor for close to 27 years now. We have seen the changing face of Information technologies in hospitals from a very close corner. Today, at Ripples IOT we have developed full fledged monitoring solution for hospitals with the aid of proven wireless and sensor technologies. In this blog, I will try to throw some light on the various use cases Ripples IOT in hospitals for monitoring and tracking can bring to the table. Track and trace the high value and critical equipments within the campus of the hospital within an accuracy of 5 meters. Improve staff productivity, people safety, security and convenience. Enhance patient flow matries. Reducing electricity bills is a headache for any hospital administration. It is important to keep track of the power consumed by each hospital departments to get more accountability. You can keep track of the energy consumption by each hospital equipment, especially for legacy ones. 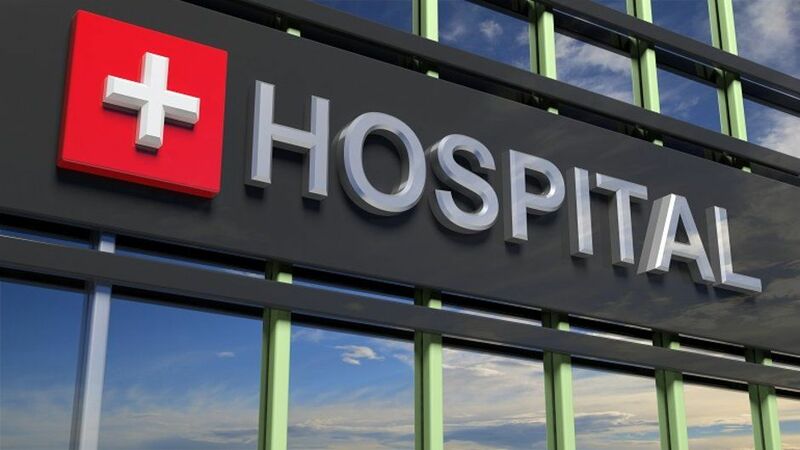 It is very common practice in big hospitals to have high-priced equipment like portable scanning machine to be moved from one department to another. From ED to patient wards to OT’s, staffs use a variety of high-priced equipment to treat the patients. With Ripples IOT tracking solution, the administrators would be able to know which equipment is in which department. This also prevents any potential theft as well. On the similar lines, we can also track the number of wheelchairs or stretchers at a particular location. Most hospital administrator offices, stores and accounts room has an operational time. It is important to track and monitor any intruder presence in the above mentioned places after office hours. Ripples IOT monitoring system will immediately alert any unwanted intruder presence in such places. Server rooms are usually the central node of any hospitals. The servers should be maintained in a cool environment and is crucial to maintain the temperature at a certain level. Similarly in pathology labs, the testing condition has to be optimal, and temperature and humidity has to be kept at check all the time. In both cases, there is a need for proper environment monitoring solutions. The authorities will be duly alerted if there is a change in conditions. Hospital workforce including junior doctors, nurses, ward assistants etc. are a lot in numbers and is very difficult to track them at a given point of time. With Ripples IOT tracking systems, the workforce can be tracked easily and it is also easy to get their count at a particular location. The check-in, check-out can also be automated easily. Toilets are one place we all think twice to go outside our home, especially if it is a hospital toilet. It is very important to keep the hospital toilets neat, clean and with a pleasant odor. With Ripples hygiene monitoring solutions, authorities will be able to remotely monitor the air quality and the ammonia levels inside the toilet. These are just few use cases we have built or implemented in a hospital environment. Of course we can do lot more like water level monitoring in tanks, light modulation according to the human presence, exhaust automation etc. With proper dashboard and visualization tools, we assure better insights into the daily hospital operations.